For more than 100 years, Los Angeles’ notoriously deprived Skid Row has been home to America’s destitute. The area, which is situated in the east of Downtown, is currently home to as many as 5,000 homeless people on its streets and in makeshift encampments. Services in the area have traditionally been focused on feeding and sheltering the homeless population – not giving them a way out. The implicit strategy was to keep the homeless ‘problem’ contained in one area as far as possible. But as Downtown LA becomes one of the country’s most rapidly gentrifying areas, conflict between the former Skid Row community and newcomers has increased. 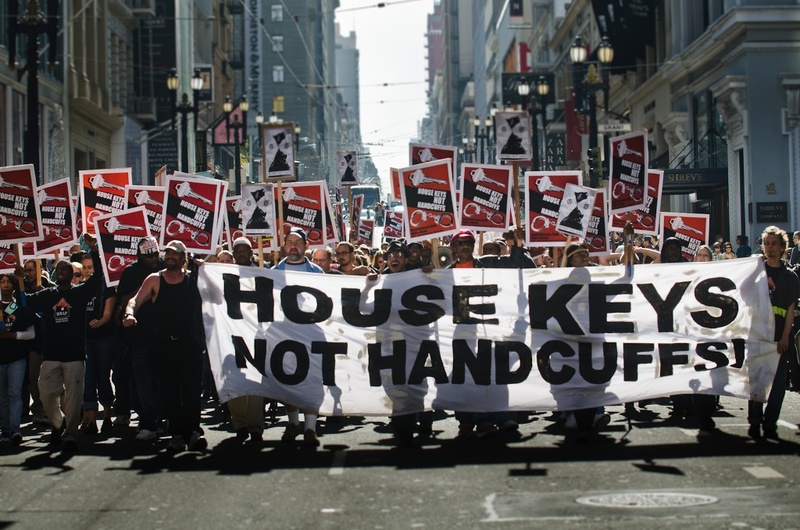 Urban renewal has been backed by a slew of laws that effectively criminalise homeless people. On 18 July, two new laws came in that make it easier for the city to confiscate the personal belongings of homeless individuals left on sidewalks and in parks, to tear down homeless encampments and to issue misdemeanour criminal citations. These are combined with some of the most heavy-handed law enforcement in the US. The deaths of unarmed homeless people in confrontations with LAPD have hit the headlines worldwide. Meanwhile the number of people who are homeless in the city is on the rise. In May of this year a count by the Los Angeles Homeless Services Authority revealed a 12% jump in the figure, bringing it to almost 26,000. Against this backdrop, Los Angeles Community Action Network (LA CAN) – the organisation behind local street paper Community Connection – has waged a 15-year battle to provide a sustainable solution to homelessness. “A lot of our work is about trying to fight for permanent solutions to homelessness,” says LA CAN community organiser Eric Ares, pointing to their track record advocating for affordable housing. “The policy of the city is not to look for a solution, it is to use law enforcement and policing to continue to squeeze homeless people into a smaller and smaller area. They’ve used really unjust laws,” he adds. In addition to the street paper, which aims to “challenge the entrenched mainstream narrative about homelessness”, LA CAN runs a community centre with services from advocacy to legal support, and community gardening to voter education. Their impact continues to grow, but they are out of space. 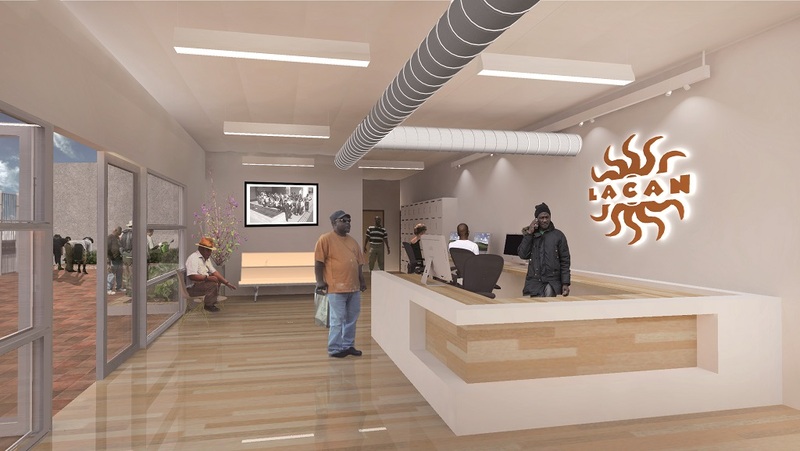 So this month, they have launched a fundraising campaign to create the LA CAN Justice & Wellness Center – repurposing their building to allow them to expand their pioneering work. “We’re trying to build a permanent solution to homelessness, while fighting back against the assault on homeless people across the city,” explains Eric. LA CAN aims to raise $1.5 million by December this year, which will enable them to start work on a fully-functioning community centre. The overall target is to raise $5 million over the next couple of years, to fund the entire project. Among the plans for the centre is an internet café which will support the work of the street paper, by allowing their homeless contributors to get online and do their research for their articles. 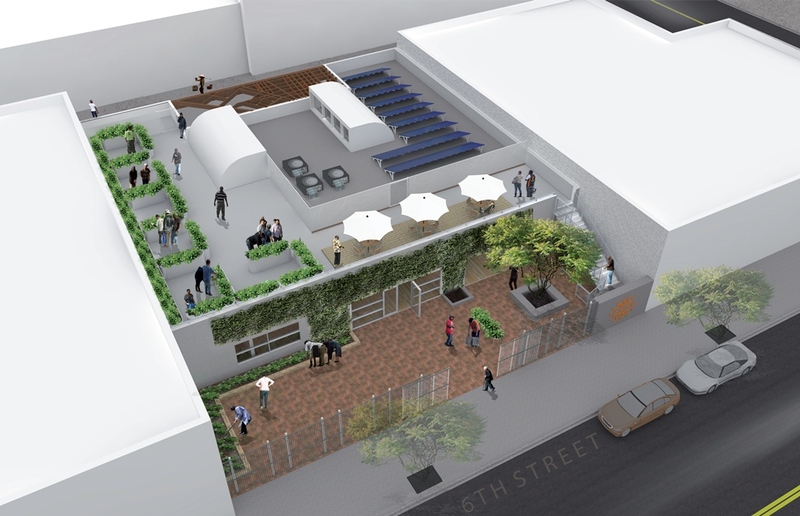 They will also have a large meeting room for the community to get together, private rooms for their legal clinic and a roof-top community garden. Depending on fundraising, the new building will be ready within the next two-and-a-half to three years. Check out the video below for more information about LA CAN’s campaign.